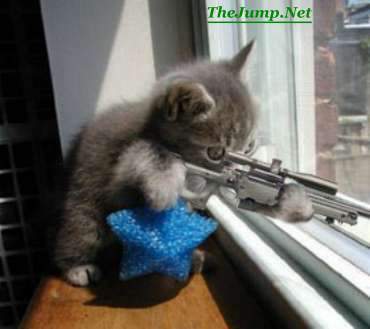 ﻿ Kitten with Sniper Rifle! That's it... That's it... One more step... One more step... Just clear that garbage can... BAM! What you think your just going to leave without checking out any more of the funny crap I have on the site! You better click again!!! That's it. Ease the mouse onto the link below. That's right click the link or I will have to send the kitten for a visit.